Mercedes aims to reclaim the luxury crown in the U.S., BMW and Toyota join forces, Volkswagen buys Porsche and Mazda may just survive after all. With this year&apos;s Goodwood Festival of Speed and 24 Hours of Le Mans behind us, the next major event for this summer is Pebble Beach in August. 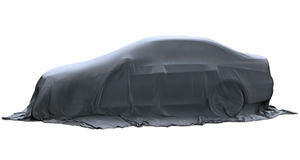 While these summer events are taking place, automakers have been busy prepping their factories for the upcoming new models and mid-cycle refreshes for 2013. The first major auto show of the season will be in Paris this September, so we&apos;ll have to hang tight until then. For now, here are some industry news highlights from this past week. Porsche Says it Again: No Sub-Boxster: Despite some news outlets continuing to claim otherwise, Porsche has once again stated they have dropped plans to build a model to slot in below the Boxster. The German automaker reiterated that to build a car that&apos;s priced below €30,000 will hurt the brand&apos;s exclusivity. 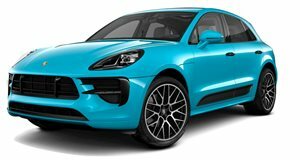 Porsche wants to sell 200,000 cars a year by 2018, but they feel that their current lineup - along with the upcoming Macan SUV - will be adequate to handle that volume. 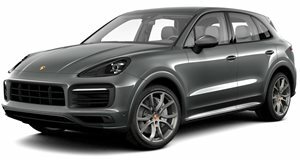 The larger Cayenne SUV was their biggest seller in the first quarter of 2012, accounting for half of their sales. 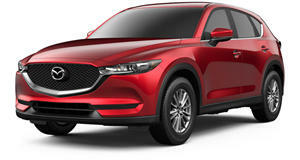 Mazda: We&apos;re Doubling SkyActiv Engine Capacity: Mazda knows they have a hit on their hands with not just the new CX-5 crossover, but also with their SkyActiv engine range. Due to high demand, the automaker plans to double production of both gasoline and diesel SkyActiv engines. They&apos;re currently producing 400,000 units per year and by October that amount will double to 800,000. U.S. buyers can currently buy a SkyActiv gasoline 2.0-liter engine in both the CX-5 and Mazda3. In other parts of the globe, the CX-5 is available with a 2.2-liter SkyActiv diesel. VW Buys Remaining Porsche Stake: It all started seven years ago when Porsche attempted to take over Volkswagen and failed miserably. Basically, Porsche&apos;s debt rose to an unsustainable level when buying up VW stock and Volkswagen ended up taking control of Porsche SE, the holding company which controls Porsche AG. After reaching an agreement with German tax authorities, Volkswagen has just announced they&apos;re buying the 50.1 percent stake in Porsche SE they don&apos;t currently own for €4.6 billion. This means that VW will now completely control Porsche. A Joint BMW-Toyota Sports Car? BMW and Toyota recently agreed to join forces on a new sports car along with sharing various fuel-cell, EV, and lightweight technologies. 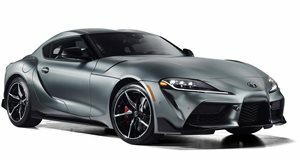 It appears that Toyota is interested in building a new Supra and sources claim the curent 6 Series architecture could serve as a starting point. The new BMW sports car will be visually different than the Toyota, but "will be a sustainable sports car with environmentally friendly technology." This won&apos;t be in place of the upcoming i8 plug-in hybrid sports car and will cost significantly less as well. Mercedes Wants to be No. 1 in U.S. Luxury Sales; SUVs are the Key: It&apos;s been more than a decade since Mercedes-Benz was the top luxury automaker in the U.S., and now they&apos;re planning a comeback. They&apos;ve already seen positive signs with the redesigned M-Class selling well. The upcoming refreshed GLK compact SUV will also likely help as Mercedes has added over 1,000 new parts and improved the design. Sales have also benefitted from an updated C-Class sedan and a new C-Class coupe that launched last year, so it appears the battle for luxury cars in the U.S. is about to heat up even more. The real winner in the crossover wars: Customers.